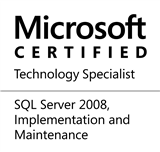 Experiences, ideas and tips around Microsoft SQL Server performance tuning. SSIS packages are quite easy to get started with – it’s mostly drag and drop of various containers, tasks and setting of connections. Ensuring that the components work optimally requires using the right mix of tasks based on the scenario at hand. Often SSIS packages connect to remote data sources & destinations. However, there are cases where the destination is a Microsoft SQL Server and it is required to run the package on the same server where the instance is hosted and we do not need granular grouping. Such situations may include data import into a staging area during migrations or as part of an ETL. In such situations, the SQL Server destination may prove to be a better option as compared to the OLE DB destination. Generally, we would have a data pipeline with an OLE DB destination on the receiving end. The setup for using SQL Server destination is extremely simple – the only change is replacing OLE DB destination with the SQL Server destination. The SQL Server destination performs Bulk Inserts into the destination SQL Server while leveraging shared memory connections to SQL Server over the existing OLE DB connection manager. The screenshots below indicate the simplicity of using the SQL Server destination. The Advanced tab (see above) has a host of options to improve the performance and control the behaviour of the bulk inserts made by the SQL Server destination. This entry was posted in #SQLServer and tagged #SQLServer, DBA, Development, Performance Tuning, Series, SSIS, Tools and Utilities on February 27, 2017 by nakulvachhrajani.